The Smart-Rail is an innovative bed assist rail designed for those of us requiring a little help for moving, standing and transferring in and out of bed. Unlike fixed-style bed rails, our Smart-Rail can unlock and pivot outwards to provide better standing support with less reaching and twisting. 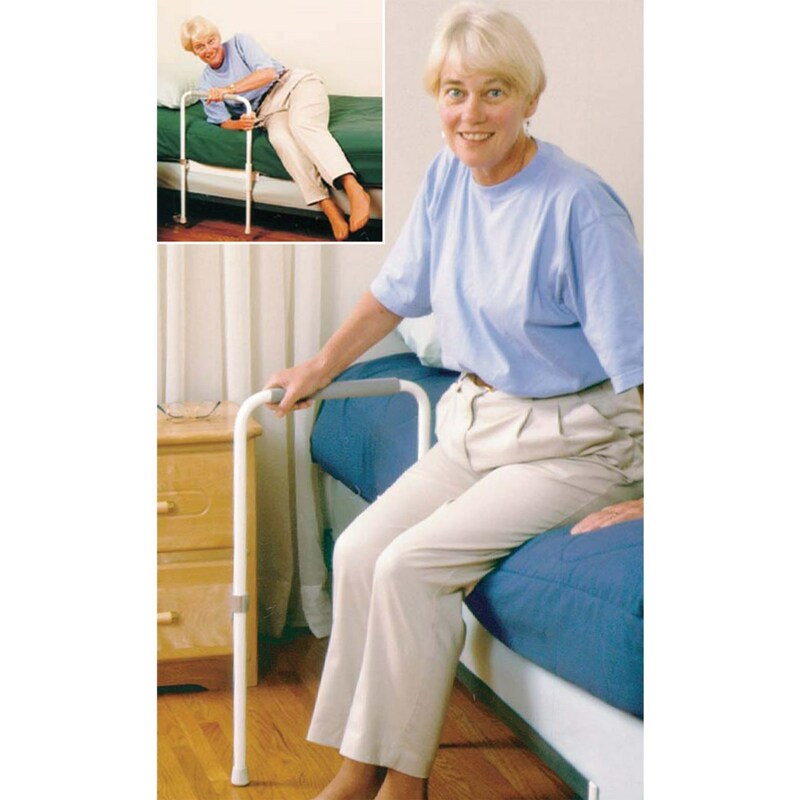 unlock and pivot the rail outward to provide well placed support when standing and transferring to and from a bed. Regained Independence - By providing properly placed and adjustable support, the Smart-Rail can help to reduce the need for caregiver assistance during transfers. reaching and twisting during the transfer process, the Smart- Rail's swing out feature provides well placed leaning support in front of the user, exactly where it's needed. Well located support can help to reduce the risk of fall related injuries by eliminating the need to reach, twist or lunge for support. Easy Installation - Installs in minutes by inserting the support frame between a box spring and mattress, secure with a safety strap, and adjust the rail height. Support Frame: 32 x 24 / 82 x 61 cm rigid tubular steel construction. Finished with baked enamel for durability. Traction Grips prevent the Smart-Rail from slipping while in use. 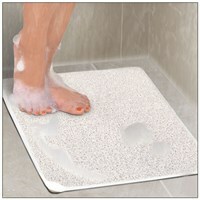 prevent slipping and protect floor. 30 height x 16 wide. Rail Grip: 1.25 / 3.2 cm diameter. Grey, deluxe foam grip. Does not contain latex. Safety Strap: Polypropylene strap 1 / 2.5 cm x 100 / 254 cm length with side release buckle. Smart-Rail Leg Extender: Increases rail height range to 31-35 / 79 - 89 cm. SOLD SEPARATELY. Weight Capacity: 250 lbs / 113 kg.